Have you already chosen to enjoy the dream life that the south of France can offer but are still undecided as to the exact destination? 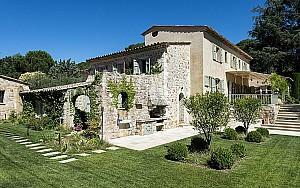 Check out PALM REAL ESTATE’s portfolio and discover our selection of Mougins villa rentals. A small town located just 6 km from the Mediterranean and only 15km from Cannes, Mougins is the ideal place to retire and enjoy peace and discretion while still having the opportunity to be at the heart of the bubbling life of the Riviera. Guests can enjoy its great restaurants and art galleries and also the charm of this often called "garden city" because of its many villas. 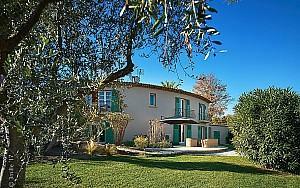 You can also find an international school in Mougins. All our villas for rent in Mougins are high end properties, recently built or renovated with materials of the highest quality. You will surely fall under the charm of our luxury villas for rent in Mougins equipped with swimming pool and beautiful landscaped and wooded gardens. Offering large living areas, many rooms with bathroom and other luxury options such as jacuzzi, cinema room or gym, sauna, steam room, or disco, our prestige Mougins villa rentals can meet the expectations of our most demanding international clientele. 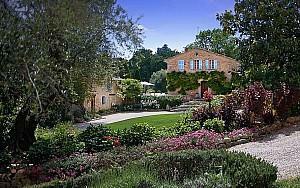 Are you looking for a villa to rent in Mougins? Contact us and you will benefit both from our experience in high-end real estate and our knowledge of the local market to help you find the villa for rent in Mougins that fits your budget and your expectations.